Dr. Holmes’ teaching interests include pharmacy law, pharmacy management, and health care administration. Her specific teaching interests include federal and state pharmacy regulations, civil liability, entrepreneurship, business plan development, personnel management, stress management, financial management, managed care, health care policy, and health care financing. 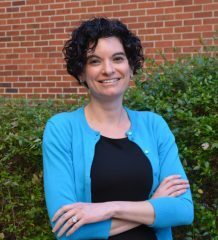 Dr. Holmes’ research focuses on organizational behavior and human resource management issues in the pharmacy including emotional labor of pharmacists and pharmacy technicians, work life outcomes of pharmacy personnel, and personnel management. Her research interests also include pharmacy compounding regulation, entrepreneurship, pharmacy work flow, inventory management, and pharmacy student mentoring.